Tag Archive | "Education Loans"
Once your kids have their diploma in hand, it may seem like they’re officially adults – but they could probably still use your help when it comes to navigating student loan repayment. Here are some tips to help you and your recent grad enter student loan repayment successfully. 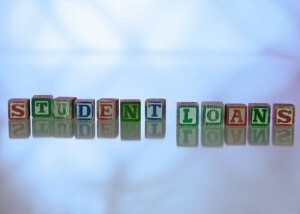 There are generally two categories of student loans – federal and private. Federal loans are made by the U.S. Department of Education, have fixed interest rates, and generally have a number of repayment options to choose from. Private loans are made by banks, credit unions, and financial institutions. Interest rates may be fixed or variable, and they offer flexible repayment terms. These loan options are selected when the loan is taken out. Each type of loan has a loan servicer who sends information about repayment. Advise your grad to always read the correspondence from servicers – it’s sent to make sure that loan repayment goes as smoothly as possible. Make sure your child talks to their loan servicer to understand their options and determine the best fit for them. With federal loans, there are plans based on income and also forgiveness programs for borrowers meeting eligibility criteria, such as working in certain public service jobs or teaching in certain schools or educational service agencies serving low-income families. Consolidating federal loans or taking out a private refinance loan to combine or lower payments are also options depending upon your grad’s situation. Stay current on student loan payments. Federal loans, and many private loans, offer an interest rate reduction if the borrower signs up for automatically withdrawn monthly payments. This can save hundreds of dollars over the life of the student loan repayment – and it’s also a great way to ensure monthly payments are made on time. 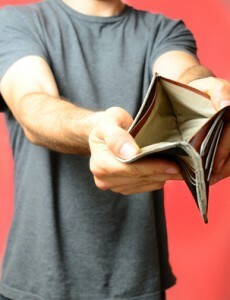 Missing a monthly payment can lead to late fees and affect the borrower’s credit, depending on how late the payment is. If it looks like your child is unable to make their monthly payments, whether they encountered job loss or an unexpected hardship – make sure they contact their loan servicer right away. Things don’t always go as planned, but their servicer can review your grad’s account and help determine if deferment or forbearance are possibilities. Servicers also provide access to training programs on topics such as budgeting, managing credit, and other financial literacy tips to help borrowers learn more about how to handle their newfound financial responsibilities. It’s important to remember that cosigned loans are your responsibility as well. If payments are late or missing, they could reflect negatively on your credit score too. You can request access to view the loans you have cosigned online, which allows you to monitor the loan activity. With this access, you can ensure your child is making payments on time, and you can make payments yourself if you choose. You should also review the cosigner release option that many lenders offer. These are generally tied to a number of on-time payments and other acceptable credit criteria, which must be met before a cosigner can be released. When it comes to managing student loan debt, there are a number of ways borrowers can pay back loans while also building a healthy financial future. Staying in touch with loan servicers, staying current on loans, and being aware of the options available are some of the best ways to help your new grad make smart financial decisions. Today’s guest article comes from Anne Del Plato – she is the Regional Director for U-fi Student Loans and is an expert in many aspects of financial aid, student loans, and debt management. Anne’s experience includes positions in a number of areas of higher education finance including college financial aid offices, training and outreach development for a state financial aid agency, and most recently, as a Regional Director of Nelnet’s Partner Solutions team. Anne has spoken at numerous financial aid conferences across the Northeastern United States. For the majority of students, borrowing for education is the norm. In order to fund not only their degree program but also the ancillary expenses that go hand in hand with attending school for a minimum of four years, it can be a challenge to keep up with costs simply based on income earned or pre-college savings. Even though student debt is a necessity for most, there are ways to keep the total long-term cost of borrowing low. In an effort to help students keep the financial lid on their student debt and reduce the potential for over-borrowing, educators can share these 10 easy student loan hacks early on. One of the easiest ways to get into student loan trouble is by over-borrowing. Students can quickly overextend themselves when it comes to taking on debt without being fully aware of the long-term financial implications of doing so. Repayment can be much less of a burden after graduation when students are (constantly) reminded that student loans should only be taken out for what is absolutely necessary to pay for education-related expenses. Debt should not be accrued for extracurricular activities or a lavish social life. In line with rule number one, students should be encouraged to supplement needs-based borrowing with their own earned income. Most college campuses provide ample opportunities to work part-time or provide mediums for work study that can reduce the total amount of debt necessary to get through a student’s college career. To remove the temptation to borrow, students should be made aware of these opportunities on a regular basis and be encouraged to take advantage of them. For unsubsidized loans, most students are unaware that they are accruing interest even when the loans are in deferment. Instead of letting that interest balloon into hundreds or even thousands more after graduation, students can keep total student loan costs down—and keep their repayment terms more manageable—by paying accrued interest while in school. For loans that are not accruing interest while in school, students still have the option of paying down the balance while repayment is deferred. If students have extra funds from working a part-time job, sending a portion of that to their student loan servicer can make a world of difference in future repayment terms and total interest owed down the road. Developing a heavy coffee habit can come on early and strong during the first year of college; however, the campus coffee shop may not be the most budget-friendly place to fuel up each morning. If students are consistently coming to class with a to-go cup from the café around the corner or lunch from a nearby fast food place, it may be necessary to remind them of the need for smart spending and sticking with a budget. Students can save a hefty amount of cash and ultimately reduce total borrowing if they are willing to bring coffee or food from home. The majority of student loan servicers will offer students a 0.25% interest rate reduction on qualifying loans when they elect to have payments automatically deducted from a checking or savings account when they start to repay their loans. No matter the total balance of debt, this interest rate reduction can lead to an impressive amount of savings over the course of a decade (or more) of loan repayment. If students borrow for each and every semester of their college career, they can end up with a handful of various loans through different servicers upon graduation. Numerous monthly payments can make keeping up with debt obligations a serious challenge, but consolidating some or all of their loans can be a quick, easy fix. Most students are unaware of their options for consolidation, so it is important to educate them on the possibility to refinance their student debt into one manageable monthly payment. Consolidation can, in some cases, also lead to an aggregate interest rate deduction, further saving students money in repayment. Another quandary students can find themselves in when entering repayment of loans directly relates to how much their payment each month ends up being. The standard repayment option for student debt is over the course of ten years, but for students who have more than $30,000 borrowed, the monthly payment on this schedule can be a devastating hit to the wallet. Students should be informed of their various repayment options, including income-based or income-contingent, graduated, and extended repayment terms. Although these may result in higher total cost of student debt, the terms may prove more favorable in helping students steer clear of default. There are numerous tax advantages students can utilize to help reduce the total cost of borrowing both during school and after graduation. Tax credits as well as deductions for student loan interest payments are available to certain qualifying students and graduates that have the potential to create bigger refunds each and every year. In order for students to get the most out of their borrowing, it is important they are made aware of these tax advantages and apply the additional tax savings toward pre-payment or chipping away at accrued interest. We as educators and administrators do not have all the answers or remedies for students when it comes to their specific borrowing circumstances. Fortunately, there are a range of professionals able and willing to help students understand their options and the implications of one repayment strategy versus another. Financial planners or advisors as well as CPAs can provide information above and beyond what we are able to, and ultimately, can lead students on the path toward financial wellness for both the short-term and long-term. Encourage students to reach out to trusted advisors in the community and network with financial professionals to whom you may refer students. You may be surprised how many are willing to lend a hand. In order to help students be successful throughout their years at college and well beyond graduation, they must have a solid understanding of how financial literacy and debt management affect their current and future opportunities. Sharing these easy student loan hacks with students will assist them in getting and staying on a beneficial financial path early in their lives. Kyle Gonnell is the Marketing Manager at innovative financial literacy education provider iGrad and has over 6-years experience in higher education and financial aid. Kyle is a peanut butter addict, football fanatic, avid traveler and Tough Mudding bicyclist that has recently taken up golf and surfing. For more information about iGrad, please visit iGrad’s website. Approximately 60 percent (12 million) of the nearly 20 million students attending a four-year college or university in the United States on an annual basis take out student loans to cover their costs. 37 million borrowers who currently are, or were, students have an outstanding loan balance, with federal and private student loan debt looming at or more than one trillion dollars. The amount of loan balance outstanding per capita is a little more than $24,000, with 1% owing $200,000 or more; 3% owing between $100,000 and $200,000; 10% owing between $54,000 and $100,000; and, 25% of borrowers owing $28,000 to $54,000. Student loan dollars are typically sent to the financial aid department of a college or university and used to offset the cost of tuition, fees, room and board and other associated costs. If the amount borrowed exceeds the amount needed to meet your expenses as a student, the remainder balance will be given in the form of a check. This may take place either at the beginning of the year in a lump sum payment or at the beginning of each semester, as funds are disbursed to the institution. With their newfound wealth, where is the money from student loans going if it isn’t being used to pay for school or being invested for the future? For some borrowers, excess student loan money is being used to fund a lavish lifestyle and the excess of youth, without regard to the future and what may come. Cars, parties, vacations, starting a business are some of the more typical expenditures made by students with their excess funds. Such spending is well within the rules as there is no current monitoring performed by the U.S. Department of Education or a school’s financial aid or bursar’s office once these funds have been distributed to the student. You borrow a total of $50,000 toward your education costs to fund a 4-year bachelor’s degree (which took 5 years to obtain) at $10,000 per year. 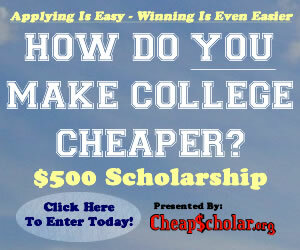 You only needed $5,000 toward your education costs, yielding a windfall of $5,000 each year you worked on that degree. You begin to repay the loan at the end of the fifth year under a standard loan repayment schedule of 10 years. You will pay back the $50,000 borrowed, plus an additional $16,600 plus in interest (at a hypothetical 6% loan interest rate). In addition to this, add a 6% interest to all purchases made with your loan money (or, an additional $60 in interest for every $1,000 worth of purchases). Now, pretend that you set aside half of your newfound money ($2,500) each year in an interest bearing account (at 6.5% compounded monthly) over the five years before you start paying back the loan amount. Instead of an interest payment of $16,600, you have a lump sum amount of $15,247 to apply toward your loan balance, lowering the balance to $34,000 and some change and a total interest of $11,547. You trimmed your interest costs by nearly one-third by setting aside merely one-half of your excess distributed funds. It goes without saying, but using money earned from a part-time job on extra purchases (rather than loan money) will eliminate the need to pay of interest on those expenditures. Making better choices about student loan funds and how to use them will make life easier for you and improve your financial future. There are great tools that can help you determine how much interest you will pay, the amount of loan payments you will make and counseling programs that can help you avoid the pitfalls of generations before you. Consider this: those with the most student loan debt currently are those who can least afford that debt. 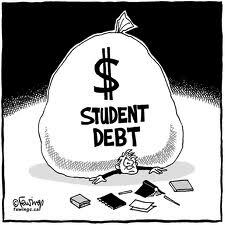 Information from the Pew Research Center and Federal Reserve that 58 percent of student loan debt outstanding is held by households with a net worth that is less than $8,500. Understand that learning about money and the cost of money are important life lessons to learn as early as possible. Regardless of whether you are a person who comes from financial means or who has never been exposed to large sums of wealth, poor finance decisions may provide an immediate benefit but become a lifelong detriment. Instead, take the time to educate yourself about your loans and the consequences of your spending—it’s a move that your future self will surely appreciate. This article was contributed on behalf of Smart PrePaid Electric, your number one choice when looking to cut down on your home or apartment bills. Check out their website today and see how they can help you save more! We all know the benefits of going to college. College graduates have a much greater earning potential on average than people who do not earn a college degree. However, the cost of `obtaining a college education has increased by over 30 percent over the last several years. A single year of college can cost between $10,000 to over $40,000. With skyrocketing educational costs many students and their families are unable to pay these expenses by themselves. 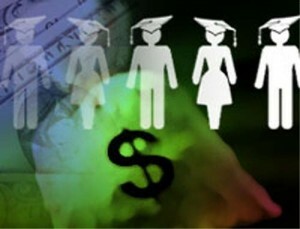 In turn, more and more students are seeking financial assistance in the form of student loans. Each year as many as 60 percent of the student population borrows money for school. While student loans seem like an attractive solution to anyone trying to complete their degree, they can turn into a large burden after graduation. As of October of 2012, the average student loan debt for 2011 graduates was $26,600, a 5 percent increase from the previous year’s graduates. On average 20 percent of college grads have $40,000 or more in student loan debt. These monetary figures create quite a burden for recent graduates who are just start out and either still looking for a job, or probably at an entry-level paying position. There are a few different options for former students struggling to repay their educational debts. Programs such as the Public Service Loan Forgiveness program or Income-Based Repayment are helping many to get in control of their educational debts. However, some employers have now jumped on the bandwagon in support of those who have student loan debt by using a new trend in repaying these loans termed employer based loan repayment assistance programs. Under these employer sponsored programs, eligible employees are given a monthly stipend to help make their student loan payments each month. Many of these programs are based in public interest work where salaries tend to be lower than in the private sector. Government agencies, some school districts and healthcare systems also offer student loan repayment assistance. Public servants, teachers, doctors, lawyers, and nurses seem to see the most assistance from their employers. However, many companies are following this trend and helping their employees pay off student loans. If you don’t work in any of the aforementioned careers or business, you can still qualify for your employer to help in paying off your student loan debt. Just as many private companies pay moving expenses, holiday bonuses, retention bonuses, recruitment bonuses, performance bonuses, year-end bonuses, or sign-on bonuses, many of them are now paying college education debts. Companies appreciate your loyalties and are starting to reward employees at 10 years, some even do so at two or three years, with the company by paying off their student loans. Doing so is beneficial for the company as they would rather help a loyal employee pay off student loan debt than re-hire and train someone to replace you in their workforce. Repayment of student loans is a much-appreciated perk at several companies. Though you should be aware of a few points. You may have to sign an incentive contract to have your employer assist in paying off your student loans. It is also wise to consult with a tax advisor as you may have to pay income taxes on the amount your employer put towards your student loan debt. When you are job hunting, or when you have your next annual performance appraisal, you may want to broach the topic of student loan repayment with your potential or current employer. Doing so could mean a big financial burden lifted from you. Some employees have managed not to pay their student loan debt at all, and had them paid 100 percent by their employer. It is worth asking to move on with financial freedom in your life. Today’s guest article comes from Ryan Ayers. He is a writer who creates informative articles in relation to education. In this article, he describes company sponsored loan payoffs and aims to encourage further study with a law degree in trial advocacy. Student loans make it possible for educators to obtain the degrees and certifications that are essential for their career. After graduation from a degree program, repayment of these loans is the first step a person will need to make on the path to greater financial security. Fortunately, this step has been made easier by government programs that are designed to encourage more people to enter the teaching profession by helping to alleviate some of the burden that may be incurred by student loans. Here is an overview of how the Teacher Loan Forgiveness Program works along with how a person can get started on determining their eligibility for having their loan balances forgiven. According to the U.S. Department of Education, the Teacher Loan Forgiveness Program is open to any teacher who has provided direct classroom instruction full-time to students in schools that are designated as serving low-income families for at least five consecutive years (sometimes called “Title I-eligible schools”). Those interested in the program must have no outstanding balances on their account from October 1, 1998 and up to the day the loan was obtained. Anyone who is currently in default on their loan must have a satisfactory arrangement for repayment in place before they will be considered for the loan forgiveness program. It is also important to note that at least one of the five years of required teaching must have been completed after the 1997-98 academic year. The Teacher Loan Forgiveness Program offers up to $17,500 in loan forgiveness; however, the amount that a person may have forgiven will depend upon several factors. The amount forgiven will vary according to the years of a teacher’s service along with their level of qualifications. Those who completed their years of service before October 30, 2004 may be eligible for up to $5,000 of loan forgiveness provided that they served full-time as a general education instructor in an elementary school or taught a secondary-level course in the field of their major. If a teacher is designated as highly-qualified in their classroom field, then the amount may be increased to as much as $17,500. For those who taught after 2004, the potential amount forgiven for a highly-qualified elementary teacher is $5,000. Special education and highly-qualified secondary teachers can be eligible for as much as $17,500. In addition to obtaining certification regarding one’s credentials as a highly-qualified instructor with over five years of full-time teaching service, a person will need to make sure the school in which they taught is designated as low-income for the purposes of the program. The school in which a person served must be qualified for Title I funds under the Elementary and Secondary Education Act of 1965 and must have been selected by the U.S. Department of Education based upon the decision that 30 percent or more of the students enrolled qualify for services provided by Title I. These schools are all listed in the Annual Directory of Designated Low-Income Schools for Teacher Cancellation Benefits. The first step toward having one’s loans forgiven is to fill out the Teacher Loan Forgiveness Application. Before filling out the application, one will need to compile a list of each school in which they taught along with any certifications or degrees that can support their designation as a highly-qualified teacher. On the application, the chief administrative officer for each school in which a person taught will need to complete a section that verifies a teacher’s years of service. After the form has been completed, it will need to be submitted to the loan holder or servicer responsible for a person’s student loans. Those who have obtained loans from multiple providers will need to file a separate application with each one. After the application has been submitted, teachers will be contacted regarding the status of their application. In some instances, it may be necessary to provide additional documentation regarding one’s years of teaching service. For example, those who were unable to complete a full year of service may be able to have it counted if they send proof that they were on active duty or covered by the Family and Medical Leave Act during the time of their absence. Promptly following-up on any additional requests for documentation will help to reduce the processing time of a person’s application and offers the best chances for receiving the full loan forgiveness amount. Once the application has been processed, a statement will be sent to the teacher that provides the amount that will be forgiven along with a brief explanation for how the amount was determined. The Teacher Loan Forgiveness Program is beneficial for educators who need a solution for managing their student loans and is effective for encouraging highly-qualified teachers to enter and continue to work in their chosen profession. By understanding how the forgiveness program works, educators can take advantage of loan forgiveness so they can better manage their finances while still enjoying the benefits of higher educational opportunities that can enhance their effectiveness for providing quality education to every student in their classroom. Today’s guest article comes from Julie Moreno. She knows how important it is for teachers to find the resources they need. In addition to Loan Forgiveness programs, aspiring teachers can check out TeacherInformation.org for more information on teaching salaries, career paths, and Master’s degrees in Education. Student loans are a unique form of debt. Under heavy government intervention and complicated legislation, they follow different rules than car loans and mortgages. They can be daunting and confusing. And since you don’t have to pay them back right away – as long as you’re still getting a full-time education – it’s easy to put off thinking about how you’ll repay them. But it’s important to consider that up front because payment day will come, even if you don’t get your degree and even if you don’t get a job right after college. Here are the most important points to consider about repaying your student loan debt. Student loans are like other loans in at least one way: Late payments will negatively affect your credit score. Both private and public lenders report your payment history to the credit bureaus, so the more you are late, the worse your credit will be. While this may seem like a small problem now, if you still have a ways to go with college, it could end up costing you thousands of dollars later when you need a loan for a house or a car. Lenders will charge you higher interest rates because they will think you are “risky” and less likely than others to pay them back on time. Even worse, too many late payments or a default on a student loan will make you ineligible for some loans, meaning you might not be able to buy that house or that car a few years down the line because you didn’t manage your student loan debt. If you ever fantasize about never having to pay back your loans because you think filing for bankruptcy will clear all your debts, stop dreaming. While people do seek bankruptcy protection – as a last resort – when their amount of debt outweighs their ability to pay it back and can see a reduction in the amount they owe after negotiating with their creditors, this does not work with student loans. All student loans, even private student loans, cannot be discharged in bankruptcy. Private loans used to be able to get discharged, but Congress changed the law in 2005. So what happens to your student loans if you declare bankruptcy? Nothing. They stay there, and you still have to pay them. They may go in default, but you will still have to pay the interest that accrues, whether you pay your monthly payments on time or not. The only way to get out of paying student loans in the United States is to die (even then, depending on the type of loan, your co-signer or spouse may have to pick up your tab). Fortunately, there is another way to get some relief from student loans if your financial life collapses: Deferment and forbearance are two ways that lenders will allow you to postpone paying your student loan payments until you get back on your feet. 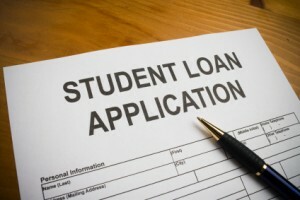 With public student loans, you simply need to fill out a form online. If you qualify, you can postpone your payments for a few months. You can qualify if you are unemployed and looking for work, if you are studying at least half-time at a college (or full-time in grad school), or if you meet the U.S. government’s standards for “economic hardship.” In special situations, you can request a postponement of monthly student loan payments even if you don’t qualify under the normal terms. With private loans, deferment and forbearance is a little harder to get. Private student loan providers can defer loans at their discretion, so you will need to contact your lender and provide documentation and a good reason for why you want to defer your payments. Lenders will work with you, but be prepared to answer a lot of hard questions and have the documents to back up your request. Students who are employed but earn less than $65,000 per year may qualify for a new government program called “income-based repayment,” which offers a sliding scale of monthly payments that are calculated according to your family size and annual income. You can use this calculator to see what your monthly payments will be. IBR payment plans can help you if you are in a low-income household, but you will still have to make payments on your loans and enrolling in an IBR plan may mean it will take you longer to pay off your student loans. While it’s good to know the consequences of not repaying your student loans on time – and the solutions for making up for any inability to pay – you’re much better off, of course, meeting your obligations. That’s why should get in the habit of spending wisely and coming up with a spending budget now, so you can be smart about your money – and your bills – when you do graduate. Spend this time building up a strong credit history, and you’ll be setting yourself up to repay your student loans in a fair amount of time. Today’s guest article comes from Cassy Parker at CreditDonkey.com.